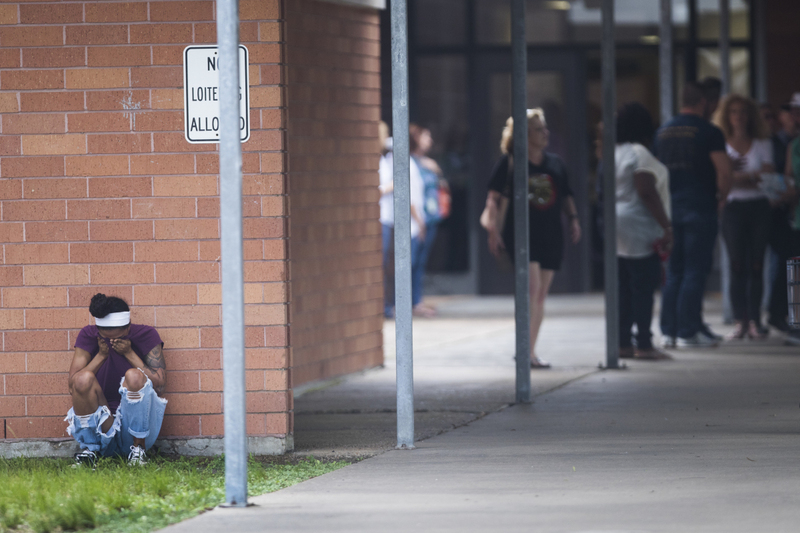 A woman prays in the grass outside the Alamo Gym where parents wait to reunite with their children following a shooting at Santa Fe High School on Friday in Santa Fe, Texas. 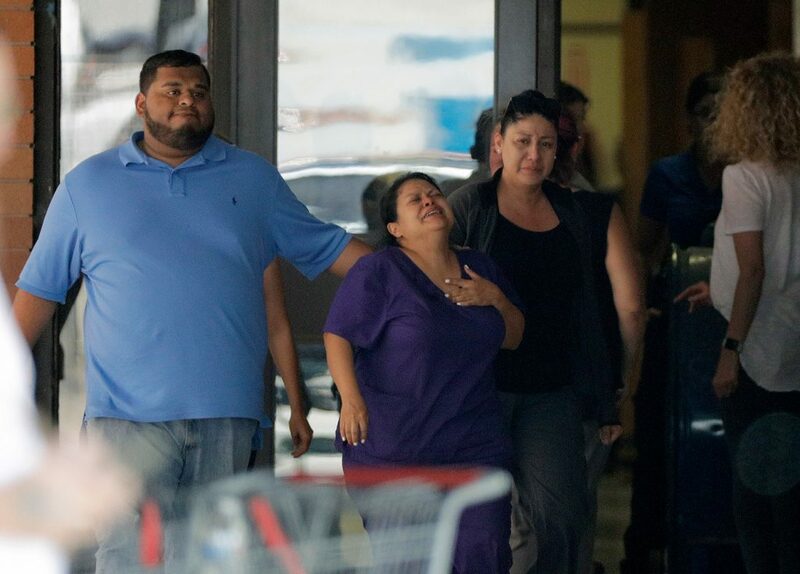 A woman is overcome be emotion as she leaves the family unification center at the Alamo Gym following the shooting. 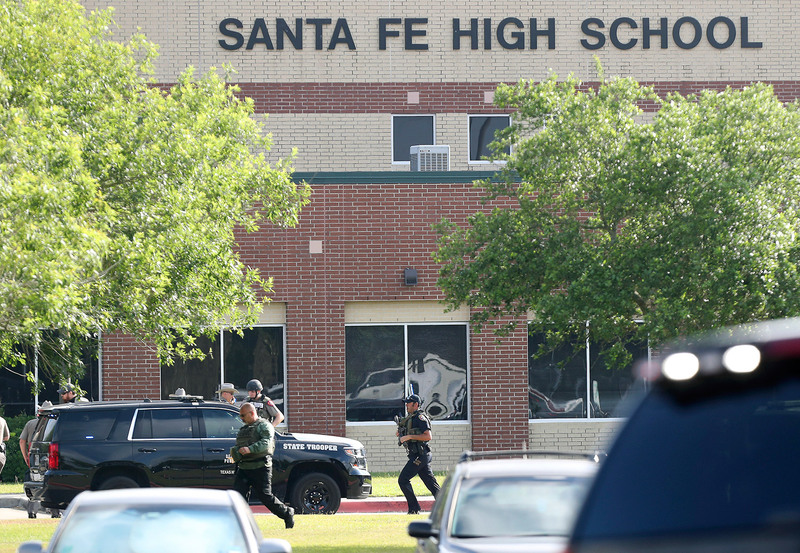 Law enforcement officers respond to Santa Fe High School after an active shooter was reported on campus on Friday in Santa Fe, Texas.  An unknown number of explosive devices were also found at the school and off campus. People embrace outside the Alamo Gym where students and parents wait to reunite following a shooting at Santa Fe High School. 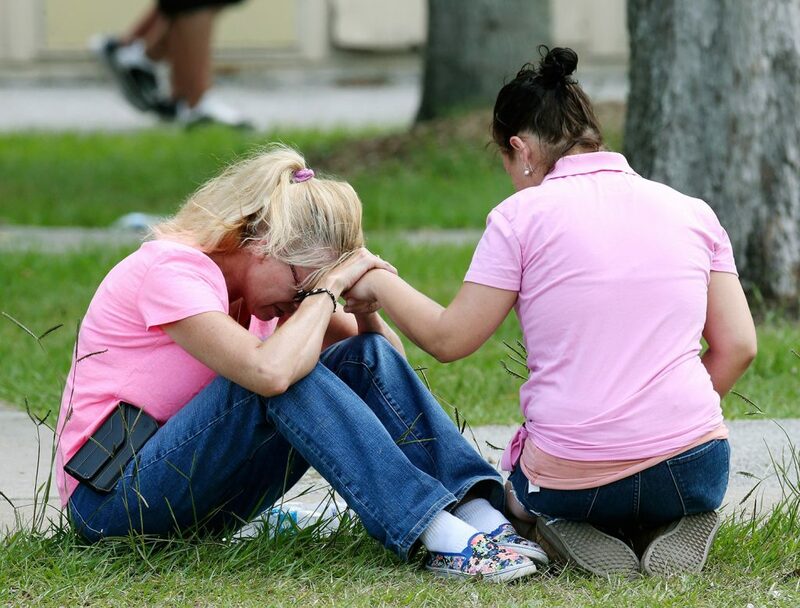 Two women pray outside the family reunification site following a shooting at Santa Fe High School on Friday. 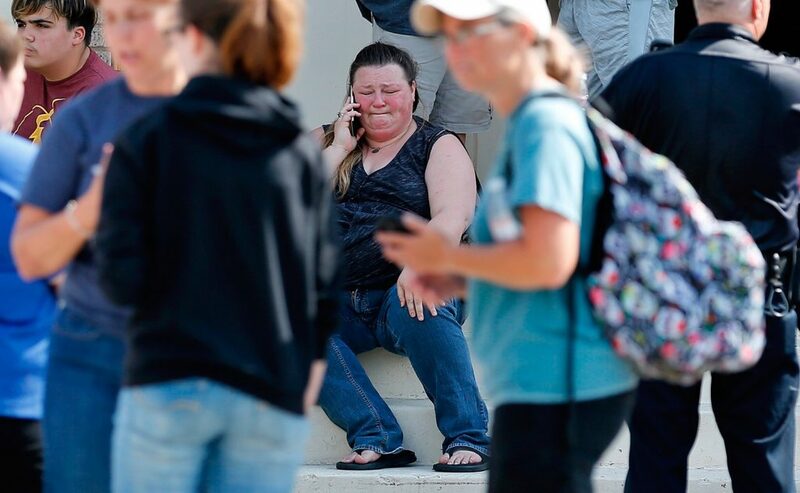 A women talks on her phone amid a sea of first responders' vehicles following a shooting at Santa Fe High School in Texas on Friday. 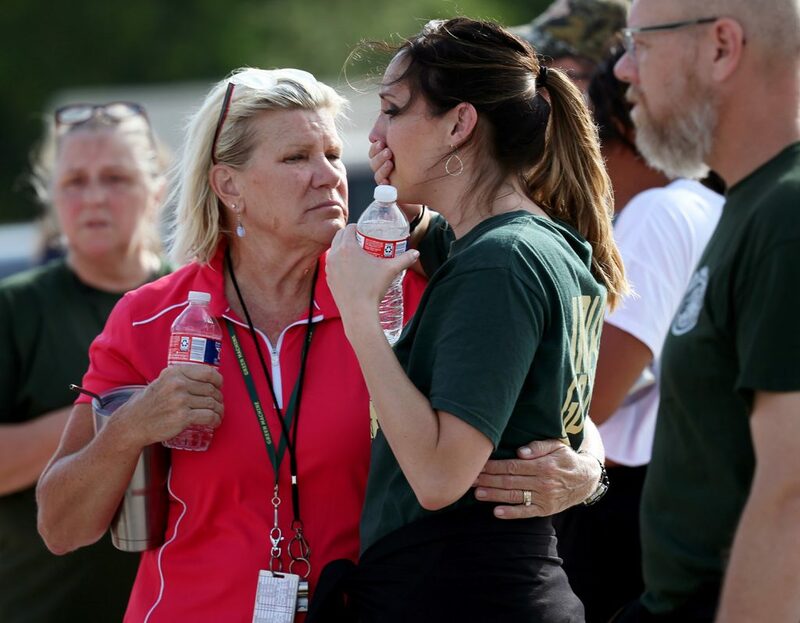 Santa Fe High School staff gather in the parking lot of a gas station following a shooting at the Texas school. People gather by the Barnett Intermediate School where parents went to pick up their children following a shooting at Santa Fe High School on Friday in Santa Fe, Texas. 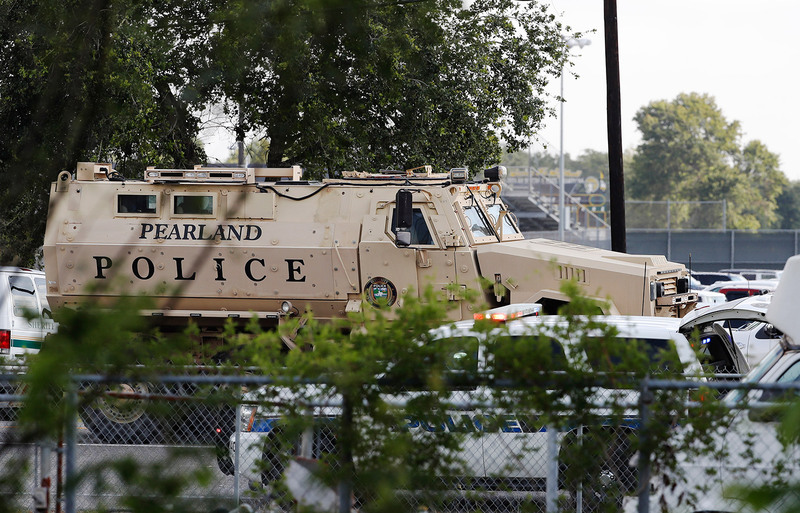 A Pearland police armored vehicle stands ready in front of Santa Fe High School in response to Friday's shooting. 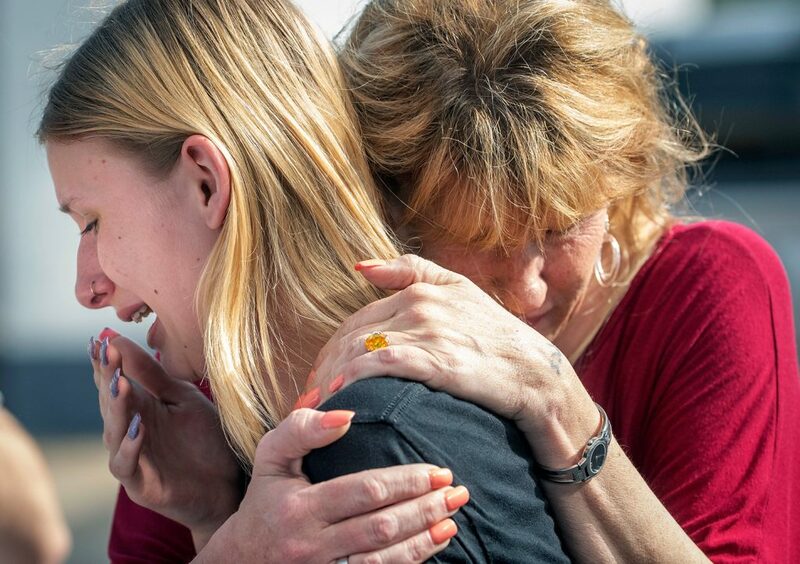 People console one another outside the old Fritz Barnett Intermediate School in Santa Fe, Texas, where family of students and staff gathered for updates after a shooting at Santa Fe High School on Friday. 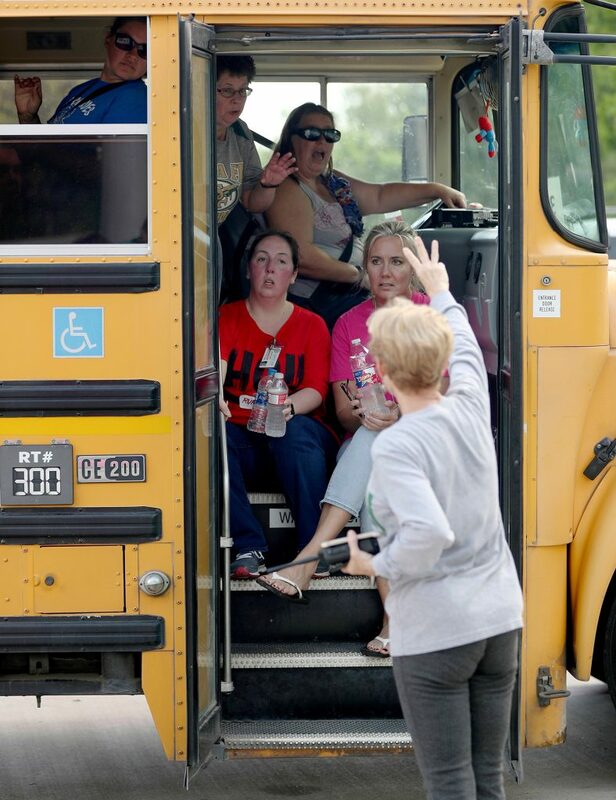 School staff members wait in a school bus to be transported to another school after a shooting at the Santa Fe High School in Santa Fe, Texas, on Friday morning. 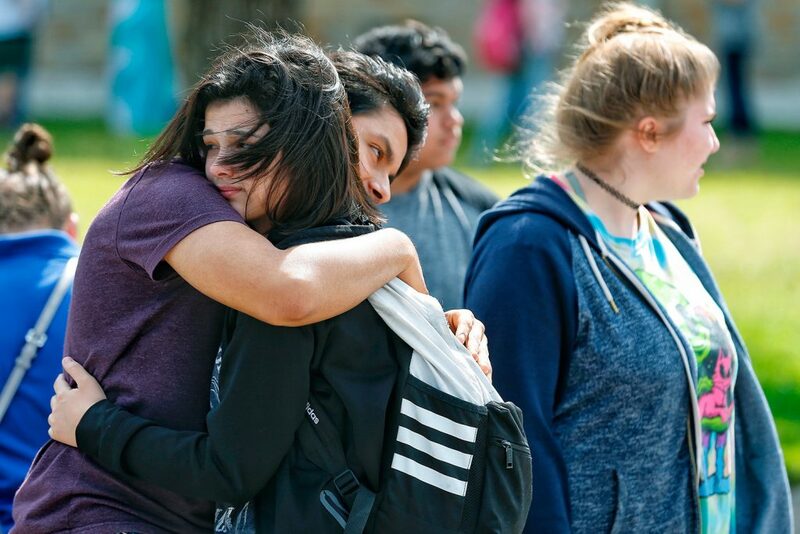 Santa Fe High School freshman Caitlyn Girouard, center, hugs a friend outside the Alamo Gym, where students and parents wait to reunite after at least one gunman opened fire at the school and killed multiple people. 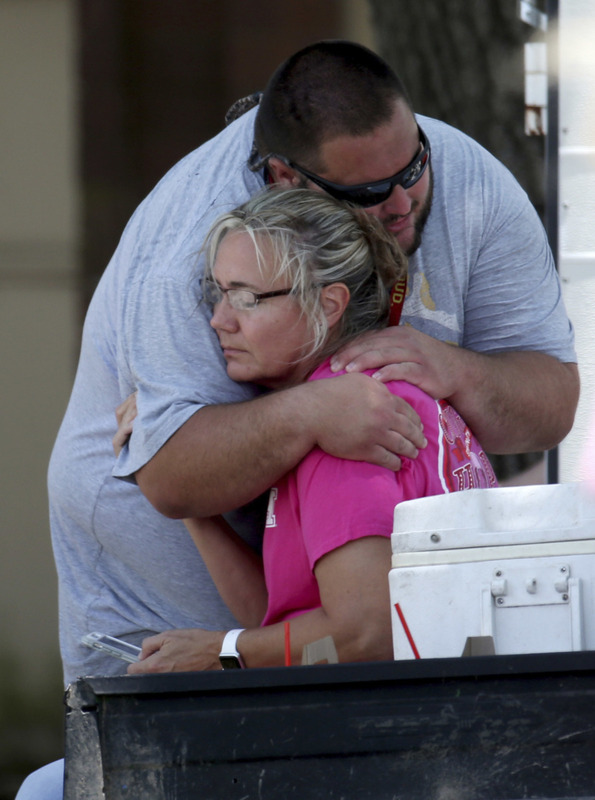 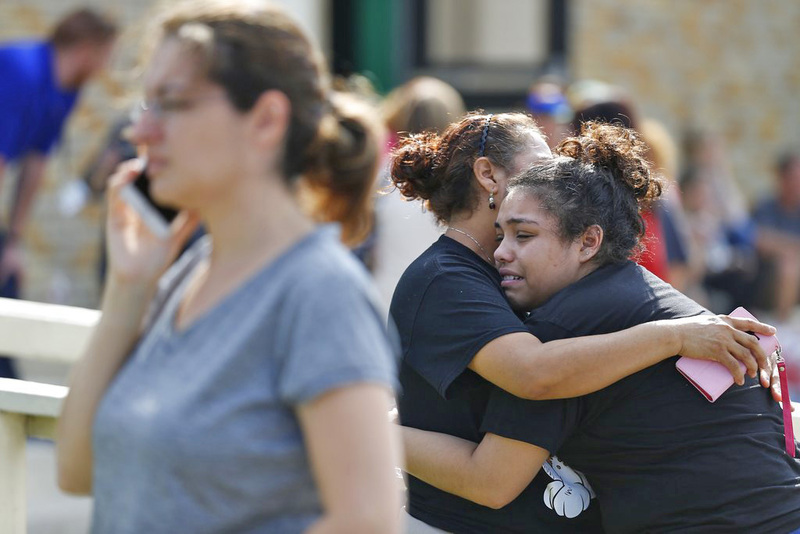 Parents wait outside the Alamo Gym to reunite with their children following a shooting at Santa Fe High School in Santa Fe, Texas, on Friday. 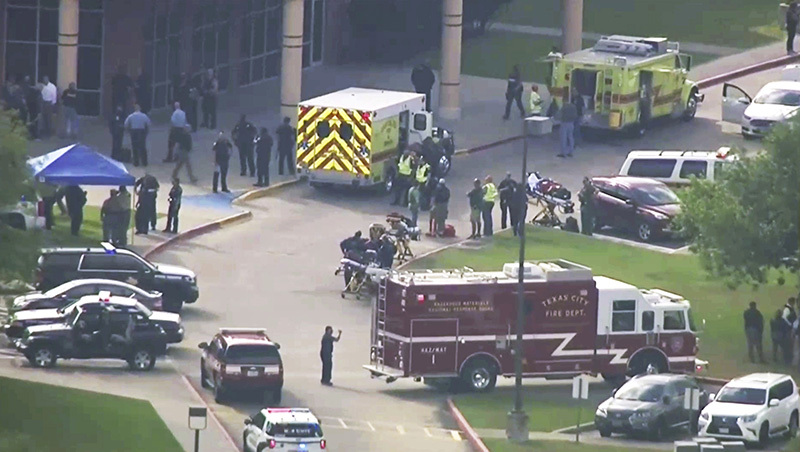 Even on the basis of initial reports, it was the nation’s deadliest school shooting since the February attack in Parkland, Florida, that killed 17 people. Santa Fe High School senior Logan Roberds, left, said he was near the art classroom where the shooting took place. 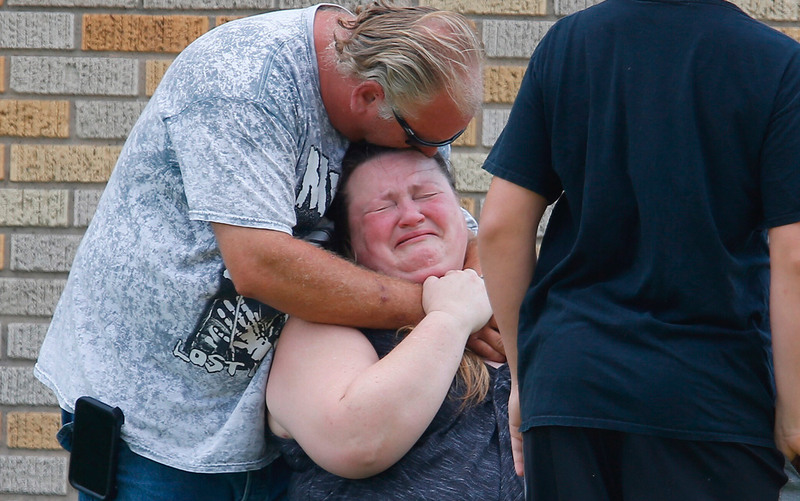 He said he heard a fire alarm and went outside. 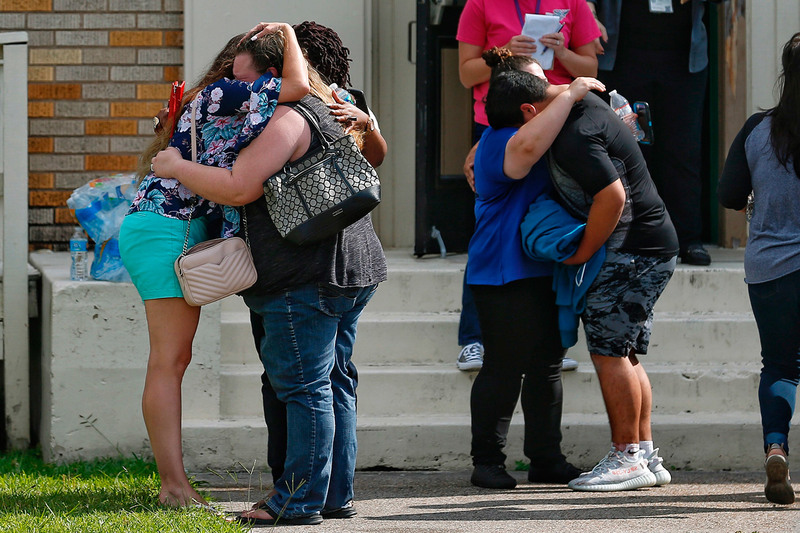 He then heard two loud bangs, which he didn't initially think were gunshots. 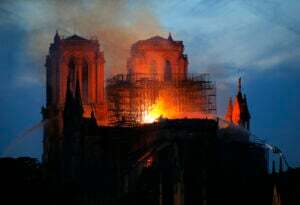 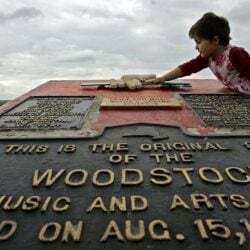 But he later heard three loud bangs. 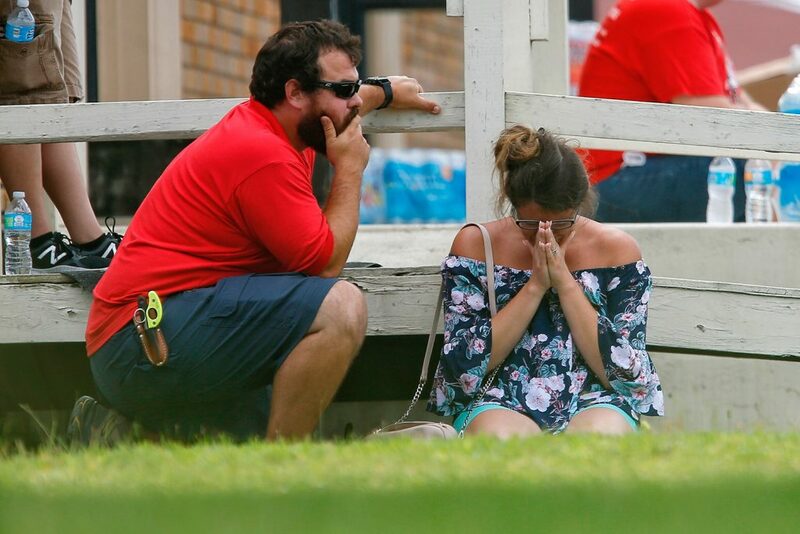 "That's when the teachers told us to run." 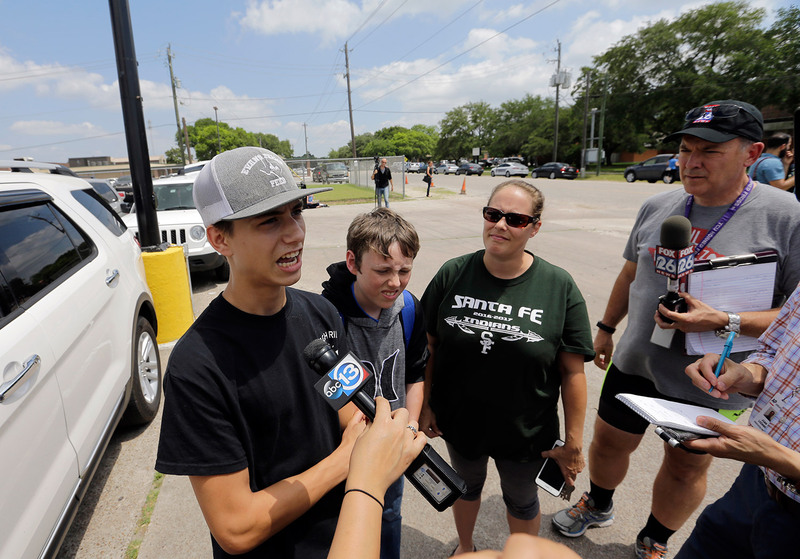 He says he ran with other students to a nearby gas station. 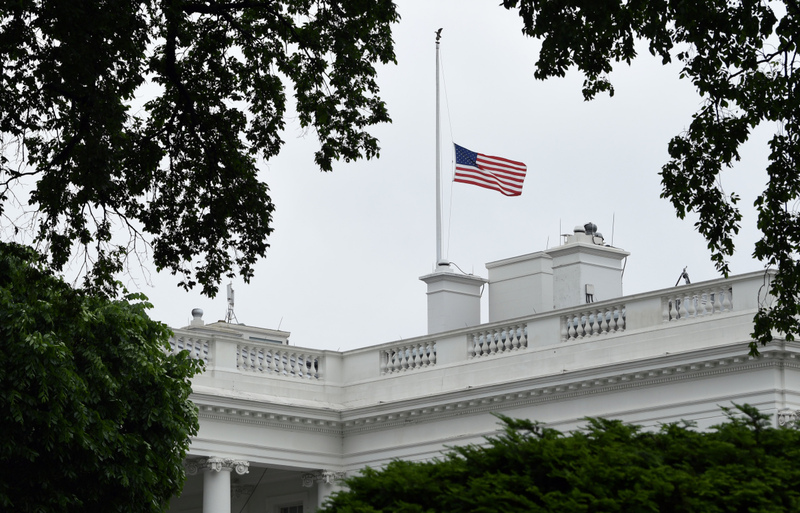 The American flag is lowered to half-staff at the White House in Washington on Friday to honor the victims in the shooting at Santa Fe High School in Texas. 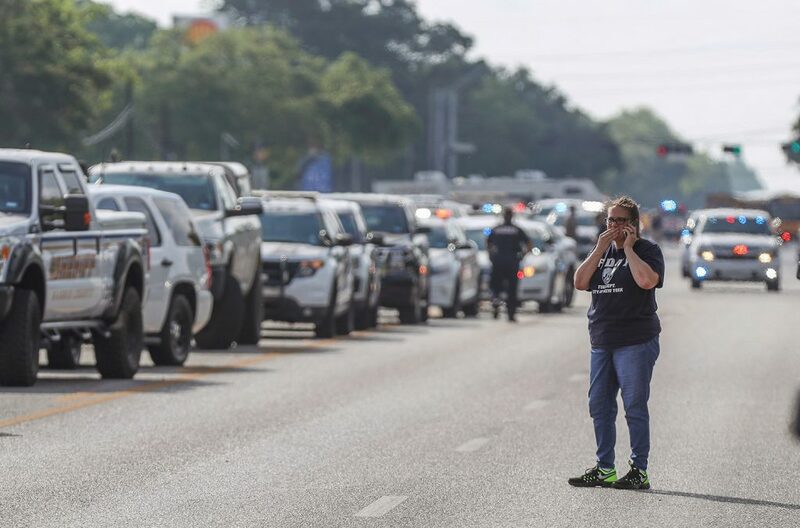 Some social-media watchers were surprised at the speed with which the Santa Fe shooting descended into information warfare, including a fake Facebook account in which the suspect's photo was manipulated to make it look like he was wearing a hat supporting Hillary Clinton. 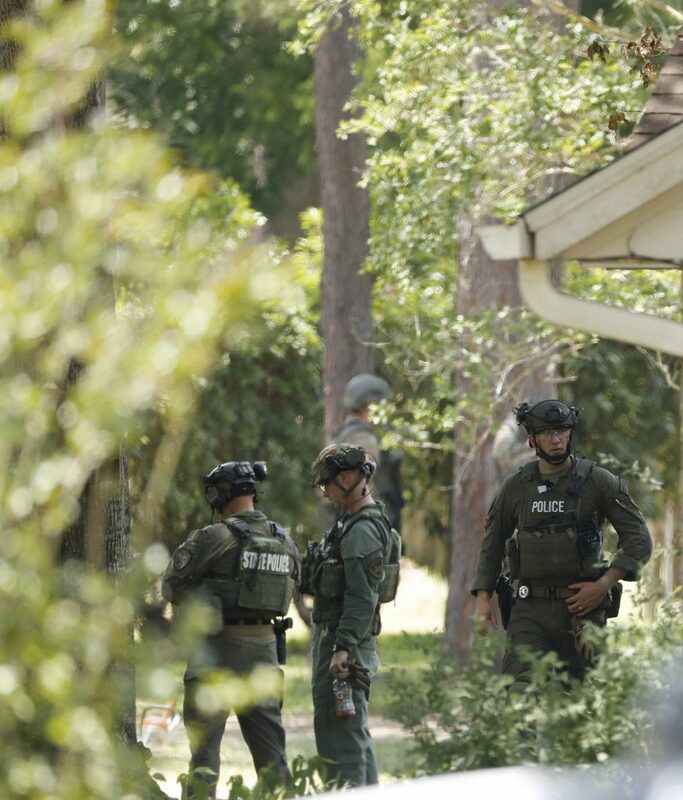 State and federal law enforcement officers in tactical gear work outside a home in Alvin, Texas, as part of the investigation in the aftermath of a deadly shooting at Santa Fe High School on Friday.